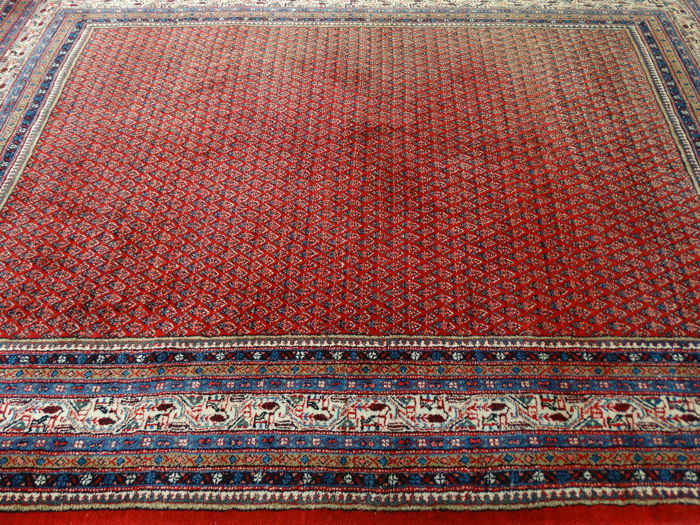 Large Persian rug in beautiful condition - with certificate - second half previous century - approx. 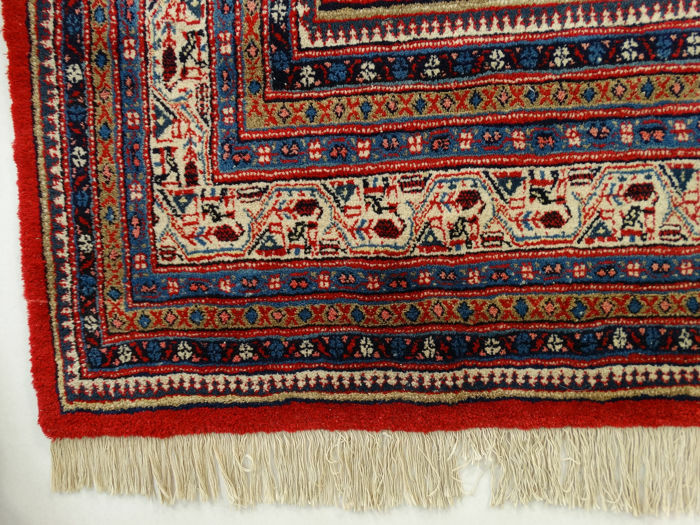 160,000 knots per m² - hand-knotted. 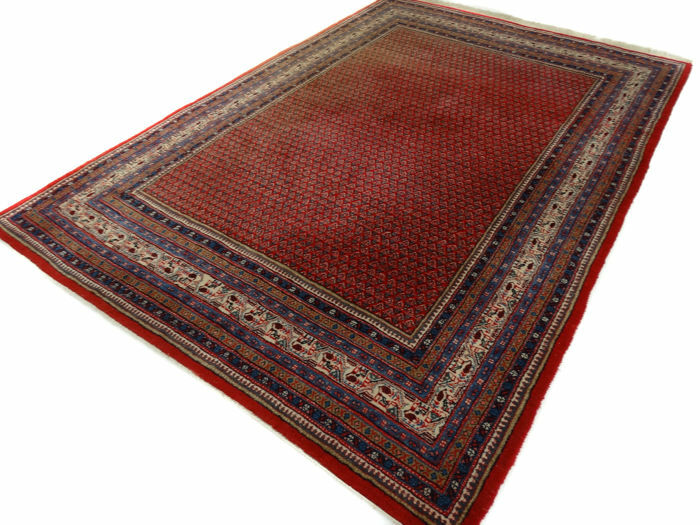 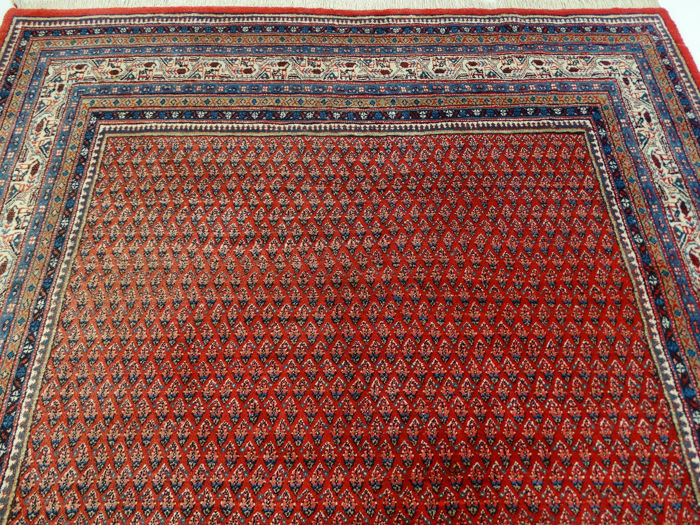 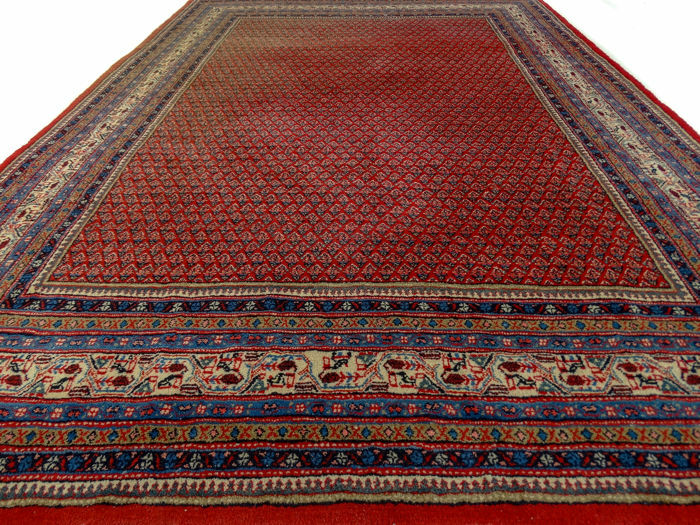 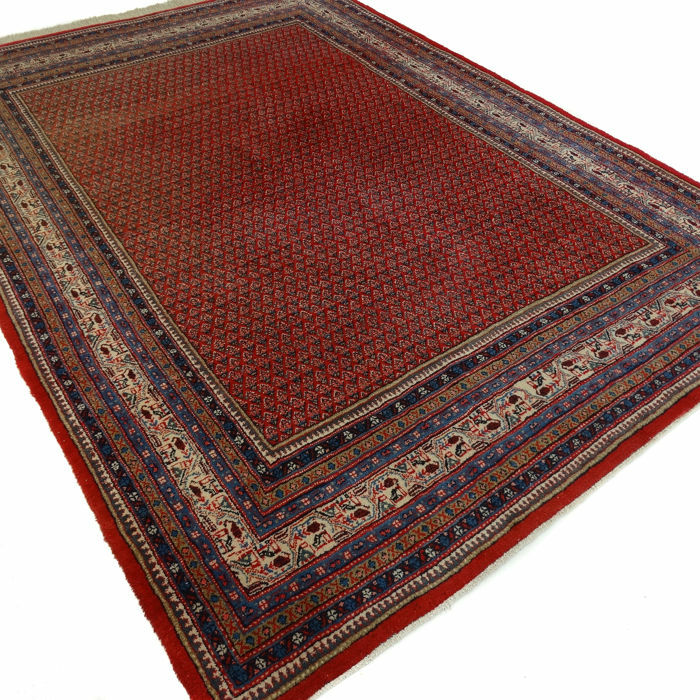 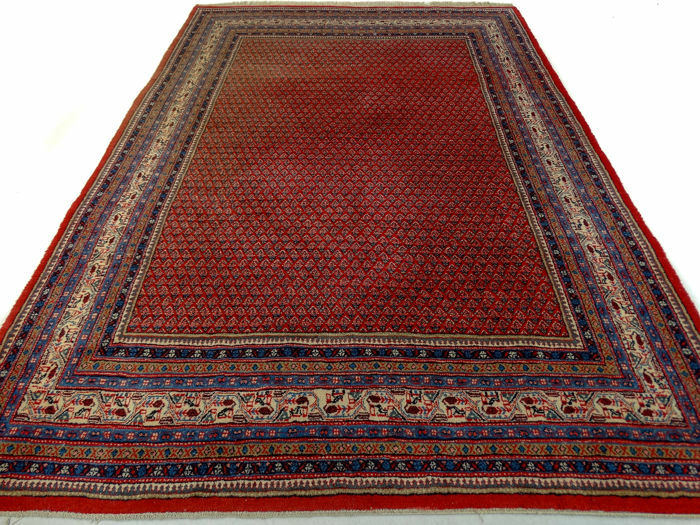 This is a hand-knotted Mir rug, made of durable, natural materials. 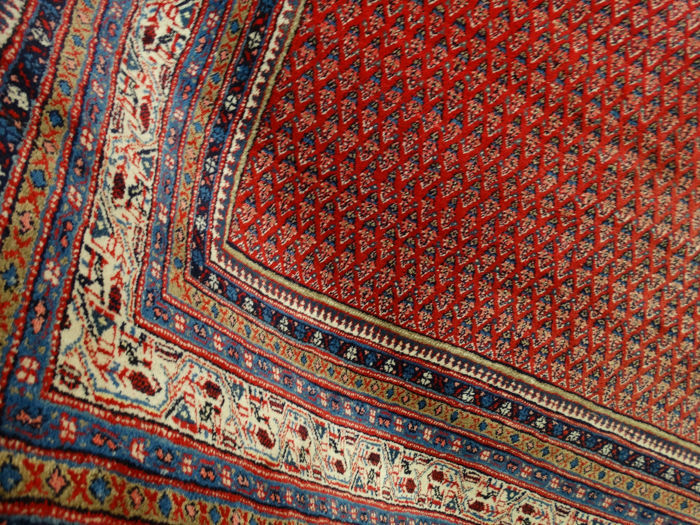 Imperfections in the patterns and shape make this carpet unique and emphasise its authentic and traditional character. 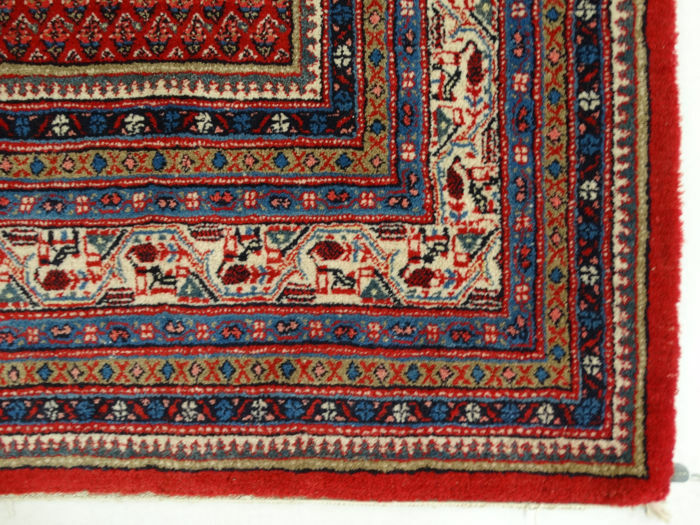 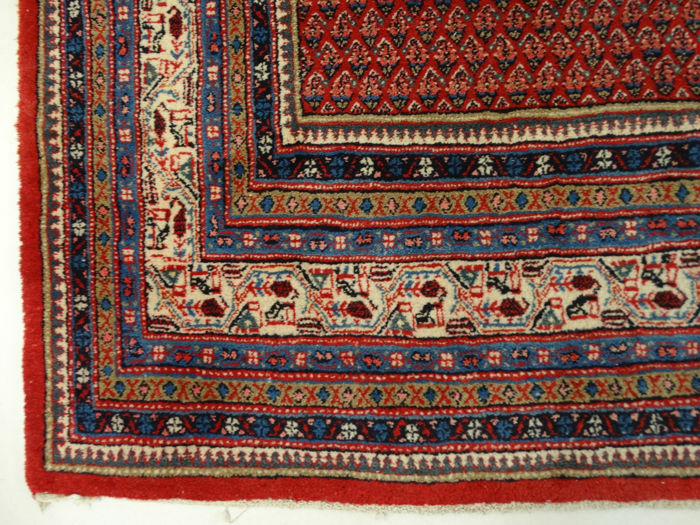 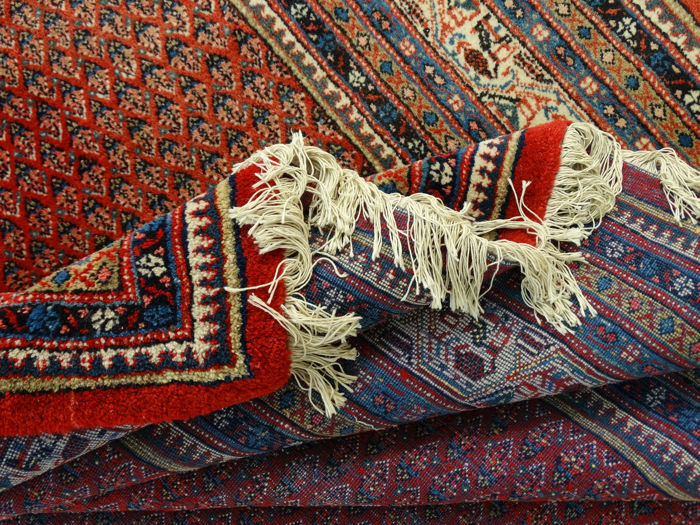 Mir carpets are knotted in the mountainous area in and around Arak, in western Iran. 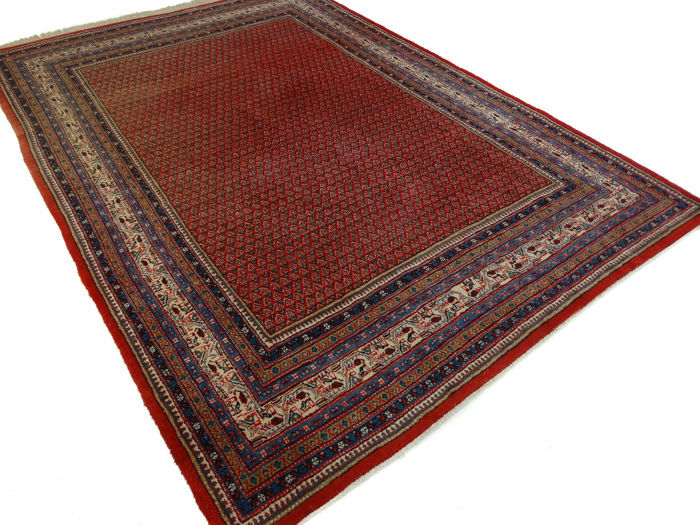 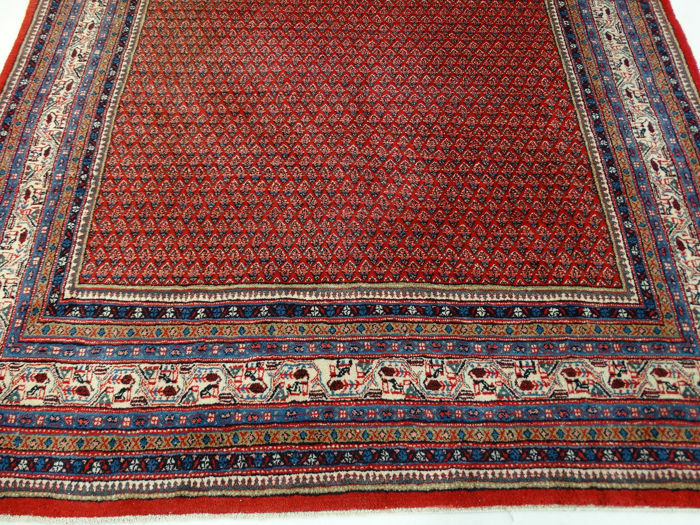 Mir rugs are durable carpets, made of wool on a cotton warp (bobbin thread), they are often thick, full rugs with an exceptionally high durability. 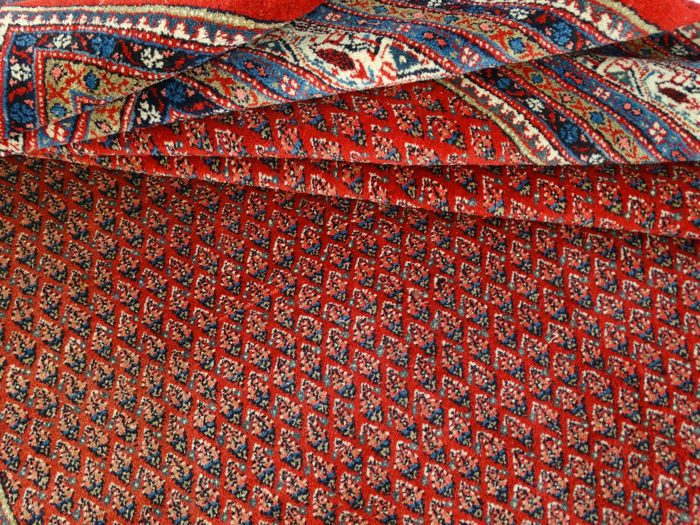 This carpet was imported from Iran before 2000. Accent colours: Shades of cream, brick, green and blue. 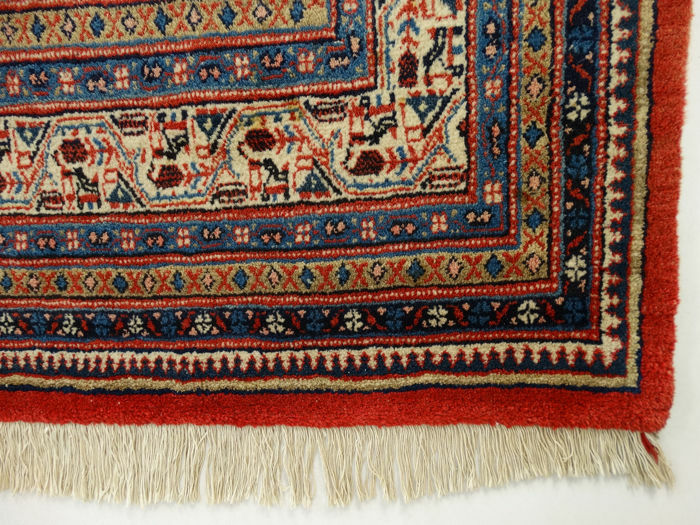 Signs of wear: Discolouration due to sunlight emphasises the traditional character of this carpet. 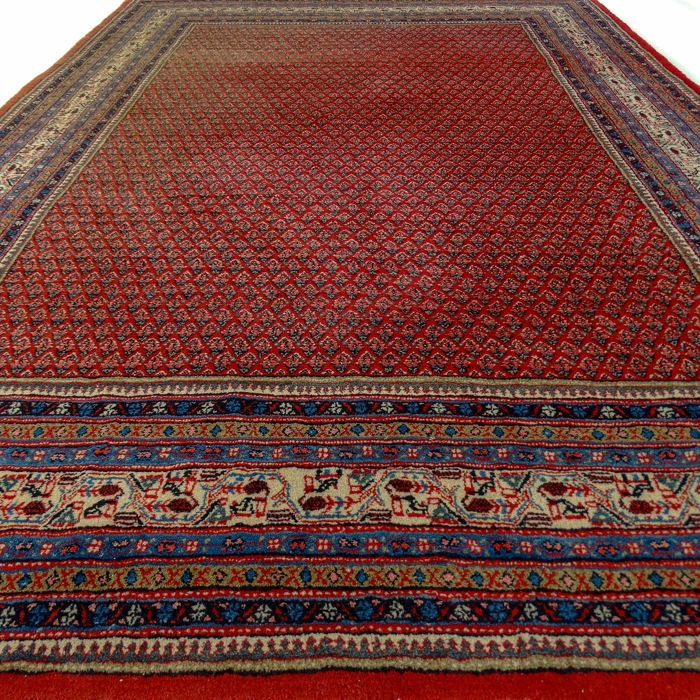 The carpet was beautiful and in perfect conditions exactly like in the photos.I reccomand this seller.